Bring LADC to your school or community organization! We offer a variety of programs and can tailor them to the particular needs of your schedule and clients/students. All of our programs are in alignment with VAPA Content Standards for California Public Schools. 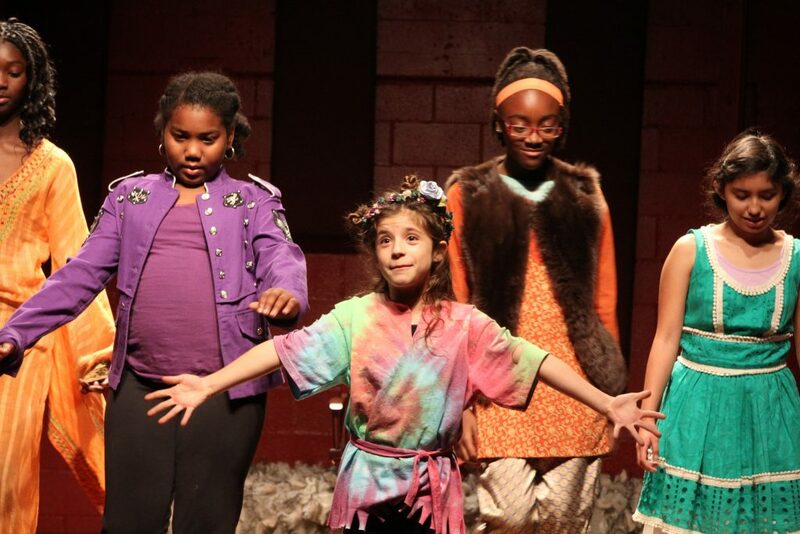 LADC teaching artists come into your classroom or community center over the course of several sessions to conduct an in-depth exploration of a Shakespeare play, culminating in a recital, which can be performed for the school and/or parents. Off the page, onto the stage! This 3-part program is designed to be offered in conjunction with an English class studying a Shakespeare play. An interactive special event introducing children to a number of different aspects of Shakespeare and Theater. Bring your students to attend one of our Shakespeare Youth Festival LA performances – includes special group rates, pre-show study guides and post-show Q&As.